We're two travel nerds with culinary backgrounds. FTP started when we bought a 1973 Toyota Chinook and moved into it full-time, wandering around the country and making recipes fit for a camp stove. We've since moved on from van life, but we're both still full-time traveling, cooking, and eating. We're here to document our travels, share veg-focused recipes, and talk about the people & things we find that inspire us - farmers, chefs, artisans, and so on. Katy has a background in high-end restaurants and a B.A. in Creative Writing. 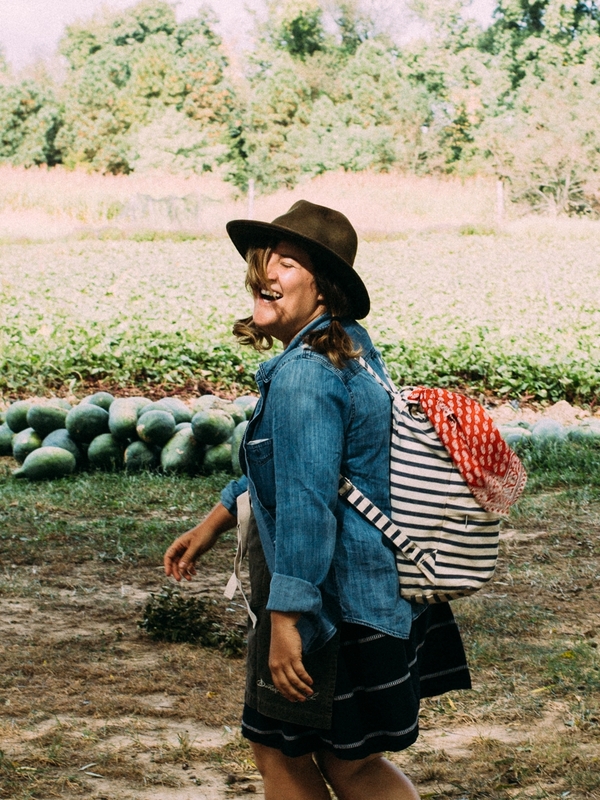 She's a graduate of the Institute of Culinary Education in NYC and spent 3 years cooking in NYC before leaving to travel the country as a a kitchen expeditor with Outstanding in The Field. She once got in a screaming match with a friend because she thought Washington DC was one of the 50 states. Her geography is better now. Ilana is a self-taught photographer and traveling chef with a background in food media. She graduated from the Culinary Institute of America before working with Outstanding in the Field, preparing and photographing events. She has been on the road for the better part of four years and is currently working as a private chef while doing freelance photography and recipe development.